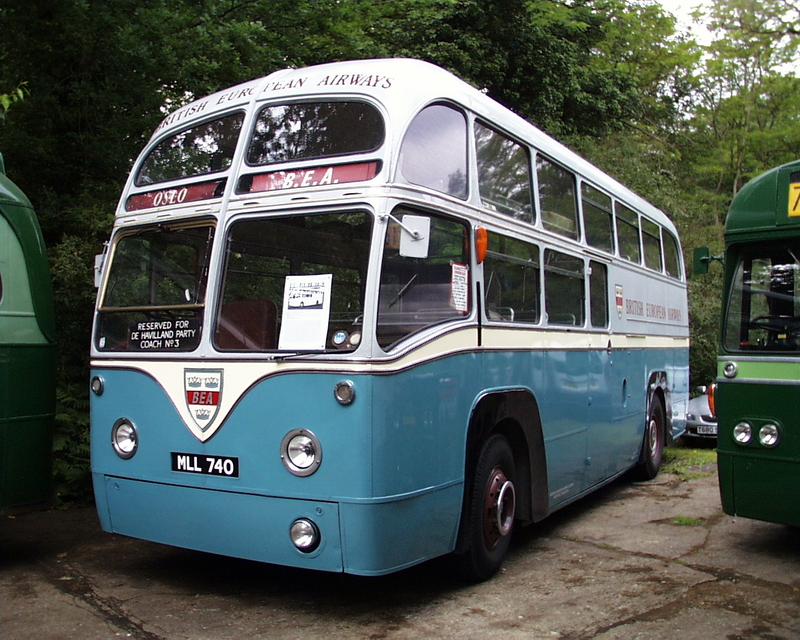 MLL 740 was one of 65 coaches built specially for British European Airways (BEA) to transport air passengers between the West London Air Terminal and Heathrow Airport replacing earlier Commer Avenger airport coaches. They were built to a London Transport (LT) design using the standard RF chassis but with axle spacers to accommodate an 8′ (2.4m) body. The raised seating at the rear of the vehicle allows additional luggage space below the floor supplementing luggage racks and pen inside. 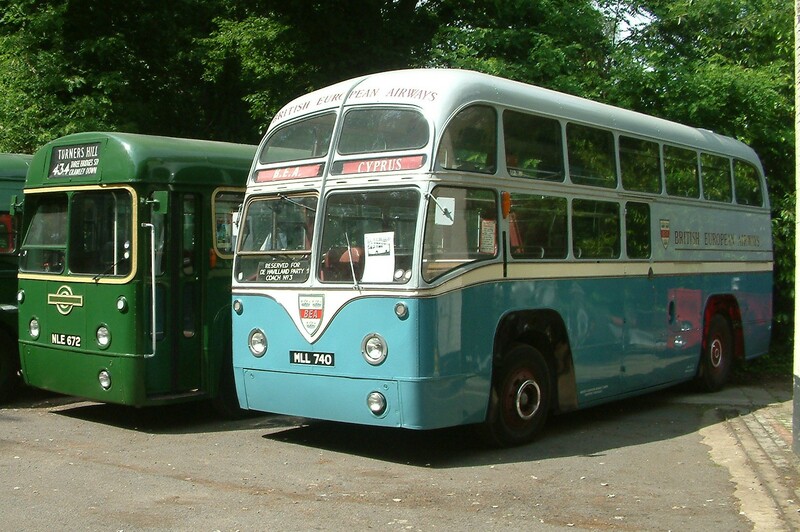 The coaches were owned by BEA but were operated and maintained by LT.
Their replacement commenced in 1966 with the introduction of forward entrance Routemaster Coaches which towed luggage trailers. MLL740 was the last vehicle to be owned by BEA and joined the London Bus Preservation Group directly from them in May 1973. 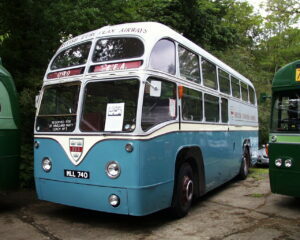 It joined the London Bus Museum display in July 2013.